What gets you out of bed each morning? My alarm. I’m not a morning person! I get super jazzed about meeting, collaborating, and sharing with others. My life is fuelled by meaningful connection. What’s your favourite book? Rising Strong by Brené Brown… I love how she is all about dropping shame and perfectionism, and showing up with vulnerability and courage. She is so full of gracious grit, I love it. What 3-5 words best describe you? Resilient, soulful, and sincere. Down-to-earth and excitable with a big, soft heart. What’s your favourite thing to eat? Where is it from? This is literally the hardest question in the world for me because I love food SO much! I’d have to say my favourite (not everyday) food is wood-fired Neapolitan pizza. There’s a great spot in Tofino called Basic Goodness Pizzeria overlooking the water which was pretty memorable. I also adore roasted veggies of all kinds and am currently obsessed with fennel. What’s something that people don’t really know about you? I am a pile of mush over puppies. I’ve never had a dog, but would love a red retriever some day! Also, I used to sing in a vocal jazz ensemble! More... Heather loves to connect people with healthy options. As a Certified Holistic Nutritional Consultant (CHNC), she believes everyone can get more out of life and is passionate about promoting practical strategies to live more fully and well. With a background in psychology and a personal journey with autoimmune illness, she has a special interest in optimizing energy and resilience through uncomplicated diet and lifestyle upgrades. 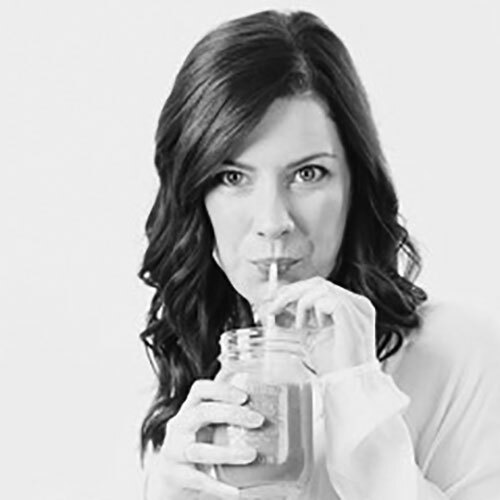 In addition to managing community engagement for SPUD.ca and Blush Lane Organic Market, Heather is an enthusiastic educator and wellness coach, and enjoys teaching local cooking classes.